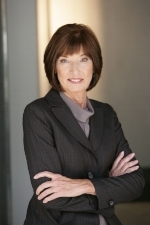 Susan Cisco has 30 years’ experience in the RIM profession as a practitioner, educator, and consultant. Cisco’s seminal work in the application of Big Bucket theory to the classification and retention of records has simplified ECM deployment strategies and optimized user adoption for organizations around the world. She holds a MLS degree and a Ph.D. in Library and Information Science from the University of Texas at Austin, is a CRM, and is an ARMA Fellow. Speaking at the October chapter meeting is Susan Cisco.